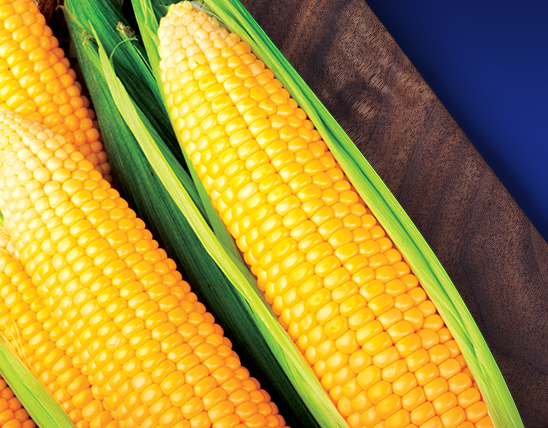 Imagine the fine delicate taste of the best cheese, so creamy and flavored! 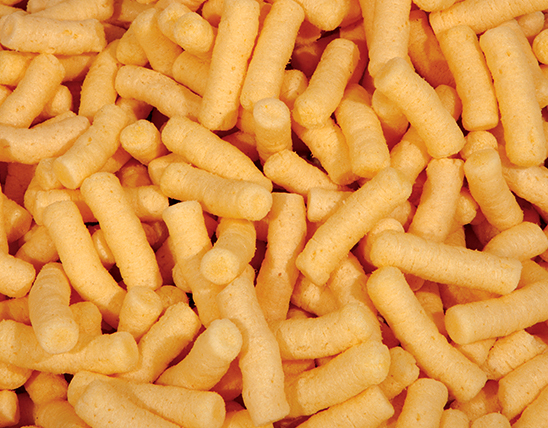 Then add the crunchy GUSTO Corn Puffs, internationally-renowned for their unique taste and texture! 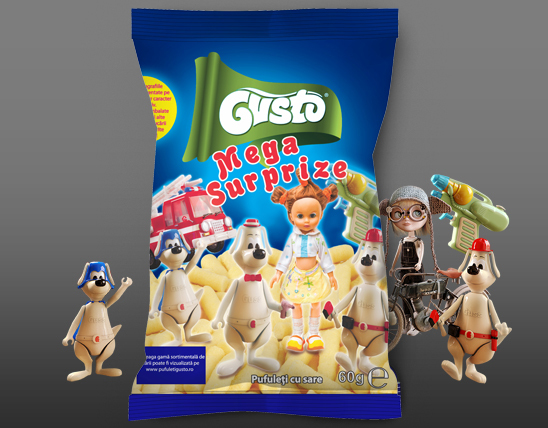 Kids now have the perfect combination of a savory snack and a nice toy, all in a 40-grams bag! 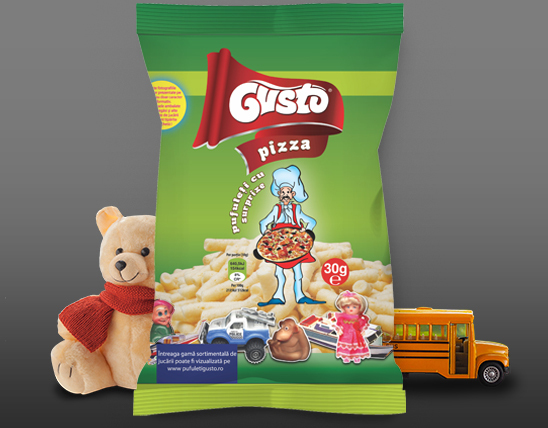 With a playful character, GUSTO invites children to continue their games while enjoying this crunchy, cheese flavored snack! 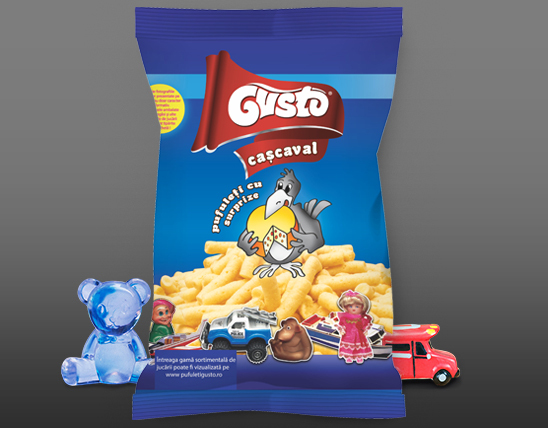 In two decades, we succeeded in creating a very successful entrepreneurial story, the Romanian positive model of the famous “American Dream”. 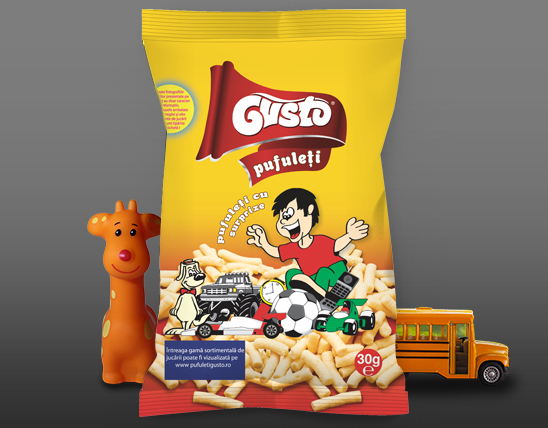 GUSTO corn puffs have a beautiful story, filled with optimism, so we kindly invite you to discover it.